Garlic: Garlic is another super food that helps fight inflammation. Garlic is full of a naturally occurring chemical called allicin, which kills off many harmful bacteria and viruses your body might be fighting, so its proven to be good for reducing inflammation in acnes. Fish: Known to be a very good source of omega-3 and 6-fatty acids, fish is excellent for an acne prone skin. These acids reduce inflammation in the skin. Sardine and salmon are very good for skin. Nuts: Deficiencies in minerals such as zinc and selenium have been linked to acne. 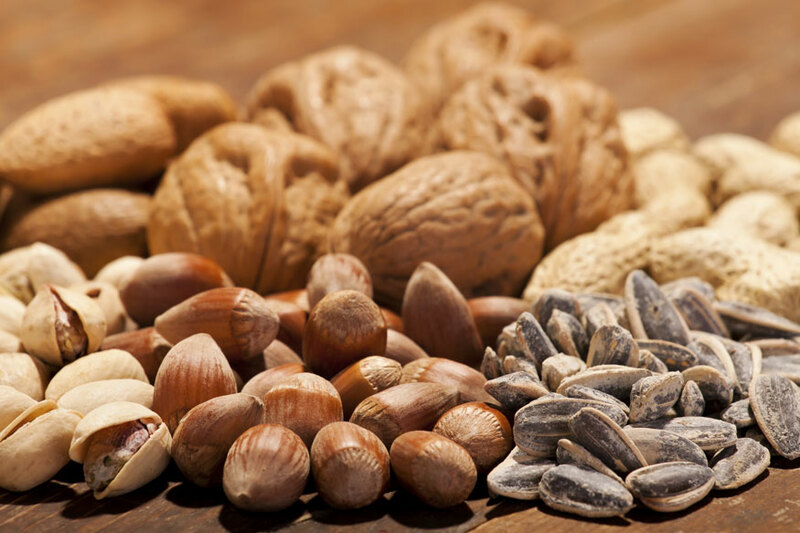 Most nuts contain selenium, vitamin E, copper, magnesium, manganese, potassium, calcium and iron, which are all essential for healthy skin. Red grapes: The fruit and seed contain powerful natural chemicals and antioxidants that have been shown to treat inflammatory skin conditions such as psoriasis and eczema. On top of this, grapes can also help to control the side effects of allergic reactions on skin. Foods rich in vitamin A and carotenoids: Carotenoids are used in anti inflammatory drugs for treatment for acne. Rich sources of carotenoids include carrot juice, carrots, spinach, kale, cantaloupe, vegetable soup, mangos, papaya, instant fortified oatmeal, frozen peas and tomato juice. Fresh and canned peaches and red bell peppers provide modest amounts of carotenoid.